I’ve been training since being a teenager and have loved anything physical since then, whether playing Rugby for local teams, boxing, martial arts, dancing (Salsa, Hip-Hop, African etc. ), climbing, swimming, cycling… you name it, and if it involves learning movement or challenging myself physically, I’m there. I later realised I also got massive rewards from helping others to reach towards their goals, so the obvious conclusion was that fitness coaching was the career for me. Once I’d qualified, I spent a year working at a health club in London getting experience in the industry, before I returned to Bristol and set up my own mobile Personal Training business. Since then I have helped many clients achieve their personal goals. I love what I do and feel extremely privileged to make positive changes in peoples lives. I found CrossFit in 2009 and started using it myself and then with my clients and was sold on it’s effectiveness. I opened the gym on Merton Rd in March 2010 and moved my growing business to there, which we then later affiliated to CrossFit. I was introduced to CrossFit and CrossFit Avon in 2010 and received a baptism of fire with Fight Gone Bad as my first WOD! I’d spent the previous 15 years not doing anything much in terms of fitness and health, you know how it goes, working, having children, bringing them up. Taking time out for yourself isn’t important when you have so much else going on. So there I was attending classes, going from strength to strength and as I became more involved with CrossFit, I realised that I had the possibility of helping others achieve their fitness goals too. 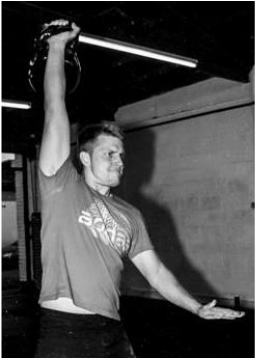 I attended the CrossFit Level 1 course in January 2013 and have been coaching ever since. I particularly enjoy taking those new to CrossFit through our Beginners Classes. I have always been a very active, sports orientated person. Rugby was always a big passion and I played it for 15 years! I have also been a huge fan of sports like surfing, snowboarding, cycling and basketball. A few years ago I became a Personal Trainer in a very well-known gym chain in Portugal and later became a Fitness Manager. In the meantime I found CrossFit and fell in love instantly! The constantly varied movements and workouts really kept my attention and I was actually commuting about 1h each way just to attend a WOD! Then, I had an idea; why not open my own CrossFit box? It felt like such a good investment as there was no CrossFit knowledge whatsoever in the city I was living in. CrossFit Coimbra was launched in December 2013 with two other partners and has been a massive success, with over 200 athletes and 5 coaches! Now you must be wondering why I’m here in Bristol… love is the answer! My other half moved to the UK a year ago and I thought why not? So I joined her and the first thing I did was find a CF Gym that we could both train in. Almost accidentally I bumped into CF Avon and Andrew very kindly welcomed me and later offered the opportunity to become a coach with this amazing team! So, I’m bringing my CrossFit experience along with me so that I can hopefully help all of you out there achieve your goals and most important of all, introduce you to the amazing world of CrossFit! For as long as I can remember, I’ve loved being physically active. Over the years I must have tried every sport that I’ve come across, from rugby, hockey, cricket and tennis during my school days, to skateboarding, surfing, climbing, capoeira, squash, snowboarding, kickboxing…the list is endless. Taking up competitive rowing during a postgraduate year at university in 2010, however, introduced me for the first time to structured strength and conditioning training. I began to develop a keen interest in the thinking behind different training methodologies and, through my own investigation into the subject, discovered Crossfit. On moving to Bristol in 2011 I wasted no time in tracking down my nearest box. One taster session at Crossfit Avon (and a lot of sweat) later and I knew I had found the type of training I had been looking for. Now, almost 2 years down the line I’m deeper into it than ever. Through Crossfit I’ve made some great friends, watched my level of fitness increase dramatically and, most importantly, thoroughly enjoyed myself. It seemed a natural progression to take my CF Level 1 trainer’s course and begin coaching – something which has already greatly deepened my understanding of sound training principles and good movement. Watching our members learn new skills and push themselves (and each other) is its own reward. This inspires me to improve – both as an athlete and as a coach. Crossfit provides me with the ideal combination of strength and metabolic conditioning to improve my performance in, and enjoyment of, any of the wide range of sports and activities that I like to take part in. The constantly varied nature of the workouts means that I never get bored, and the friendly, supportive atmosphere created by the members and other coaches makes the idea of ever wanting to return to a ‘normal’ gym unthinkable. Growing up in New Zealand has given me a great start in outdoor pursuits and sporting activities. For as long as I can remember I have given everything a go. Taking part in athletics, gymnastics and outdoor activities at school and equestrian sports in my spare time. Later, coming to the UK and getting involved in Obstacle Course Racing and whatever crazy endeavours that seemed like a good idea at the time. It was a natural progression to qualify as a Personal Trainer and I have found a great sense of purpose helping people to realise their potential. But what really lit my fire was Crossfit. A friend told me about Crossfit in 2013 and once I tried it I was hooked. Since then I have done a few competitions and become a Crossfit Coach. I love the variety, the community, the way those workouts can both humble you and boost you, whether you finish them first or last. It doesn’t matter. It works, whatever your goals are, and we’re all in it together! Living on Gloucester Road I kept seeing people running up and down Merton Road and wondered what it was all about. Shortly after in 2014 I booked into the beginner’s class and the rest was history. It didn’t take long to find that spark again with Crossfit as there is so many different aspects and skills you can work on to make you a better athlete. The community element is what also keeps you coming back for more as there is never someone too far away to support you and motivate you when things get tough both inside and outside of the gym. 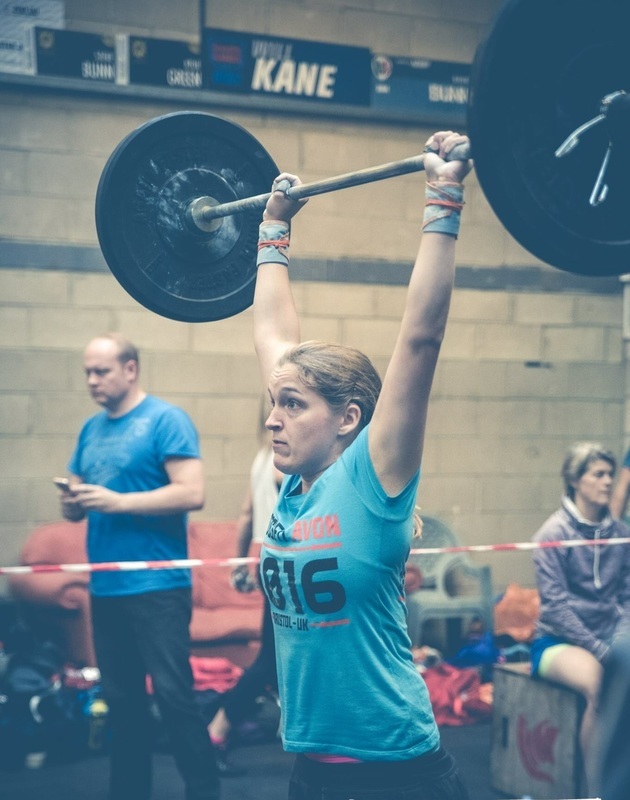 I now find myself competing regularly in Crossfit competitions and in March 2016 completed my CrossFit Level 1. My passion of wanting to help others can really be channelled though coaching and I thrive on seeing people wanting to be the best version of themselves. 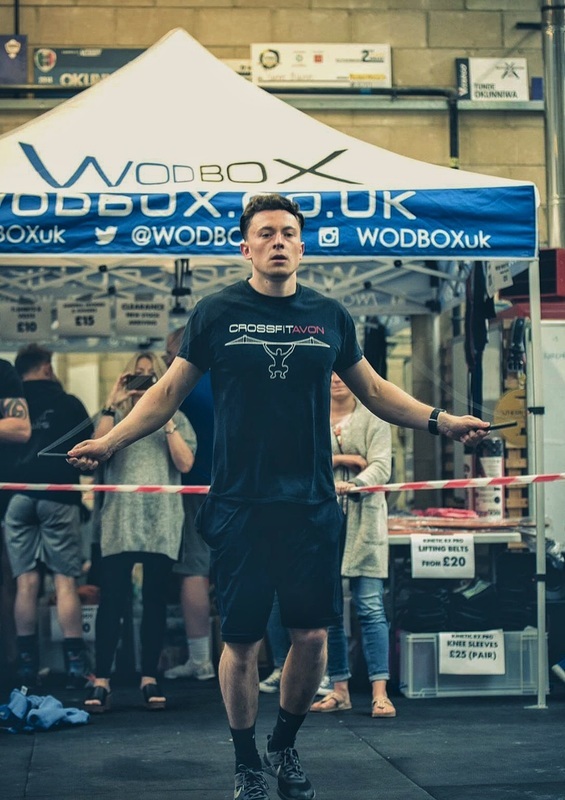 Crossfit is a great platform to work on and develop your mental/physical fitness despite age, gender and ability with a training methodology that is constantly varied and can be scaled to suit all. ​Growing up I’ve always had a love of sports however when I first heard about Crossfit a few years ago I made the mistake of thinking I wasn’t fit enough to join so waited over a year before I finally just went for it and haven’t looked back since. I would encourage anyone thinking about joining Crossfit to just sign up and see what it’s all about – it really is suitable for everyone! Having started Crossfit like many people not being able to do some of the basic movements such as pull ups I now am so much fitter and stronger than ever and after a lot of hard work I’m really excited to be in a position to help and inspire others to achieve their own goals. I have never been to a gym before where everyone knows everyone’s name and you get to train alongside people who have become close friends. I love the way everyone pulls together and supports each other. The community aspect of Crossfit is awesome. I also mainly workout to balance my love of cake and chocolate! Contrary to popular opinion I don’t live at the box and when not training I tend to spend the rest of my free time mountain biking (preferably downhill!) or walking up mountains.